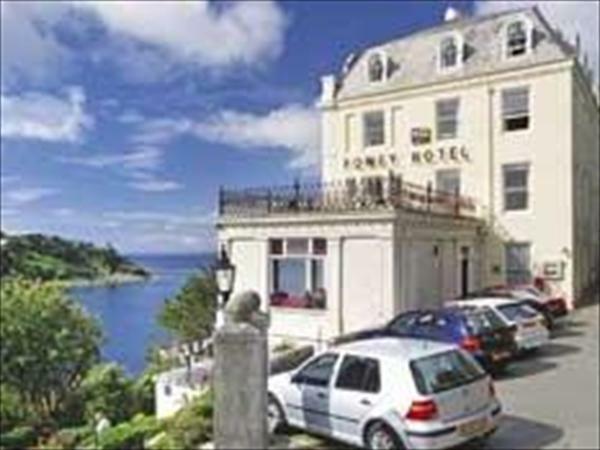 The Fowey Hotel, Fowey, Cornwall is an attractive hotel standing proudly over Fowey estuary with marvellous views of the river from the hotel's public areas and most of this Fowey Hotel's bedrooms, The Fowey Hotel is the only AA 4 star hotel in Fowey, Cornwall. High standards are evident throughout this hotel in Fowey, augmented by a relaxed and welcoming atmosphere. There is a spacious bar, smart drawing room and imaginative dinners are served in the hotel's elegant restaurant.